CHICAGO.- The exhibition explores similarities and differences in the architectural responses to boom conditions in two centuries and cities. Free and open daily, the exhibition includes photographs, drawings, graphics, models and videos that encourage visitors to travel between eras and continents in order to consider how international networks of architects transform dynamic societies. Fueled by massive immigration, technological innovation and new models of social organization, Chicago was the focal point of an unprecedented population boom at the end of the 19th century. The city led the development of a new architecture that changed the practice of building worldwide. A century later, another boom on a dramatically larger scale is occurring in Asia and the Mideast. The result of the new boom is an architecture previously inconceivable in size, density and scope. Located between the settled eastern seaboard and the beckoning frontiers of the American West, Chicago combined the massive influx of European immigrants with a seemingly inexhaustible abundance of natural resources. This helped create a boom town on a scale never before experienced. From 29,000 residents in 1850, Chicagos population exploded to 298,000 by 1870 and nearly 1.7 million by 1900. Fast forward a hundred years. Now it is Asia and the Middle East that are the brave new worlds of the 21st century. Great cities of the past like Beijing and Mumbai awaken roaring from long slumbers, while entirely new metropolises of staggering proportion appear to arise almost overnight. As recently as the 1970s, the port city of Shenzhen, China, was a fishing village with 25,000 inhabitants. By 2005, over 8,000,000 were making it their home. In the city of Abu Dhabi, the first paved road wasnt completed until 1962, and traditional mud-brick huts still lined the streets. Today the average net worth of the citizens of the Emirate of Abu Dhabi is $17,000,000 and more than a trillion dollars has been invested in the city itself. Among the great swells of humanity drawn to these boom towns are the architects. In 19th-century Chicago, they created an architecture that influenced practice throughout the world. Today, that history and reputation has helped Chicago architects of our own time to participate in the planning of the mega-cities of Asia and the Middle East. Is this really a new world or a repeat of the old, recycled in shiny new containers? Are forests of skyscrapers from Shanghai to Dubai the solution to todays urban challenges, or does the low-rise, zero-energy city of Masdar present a more enduring alternative? What is substance, what symbol? Boom Towns! is composed of pairings of iconic works of architecture from late 19th-century Chicago with parallel works in todays China and the Middle East. Capital Building contrasts Adler & Sulivans 1894 Stock Exchange Building with Goettsch Partners stock exchange complex on Abu Dhabis Sowwah Island. 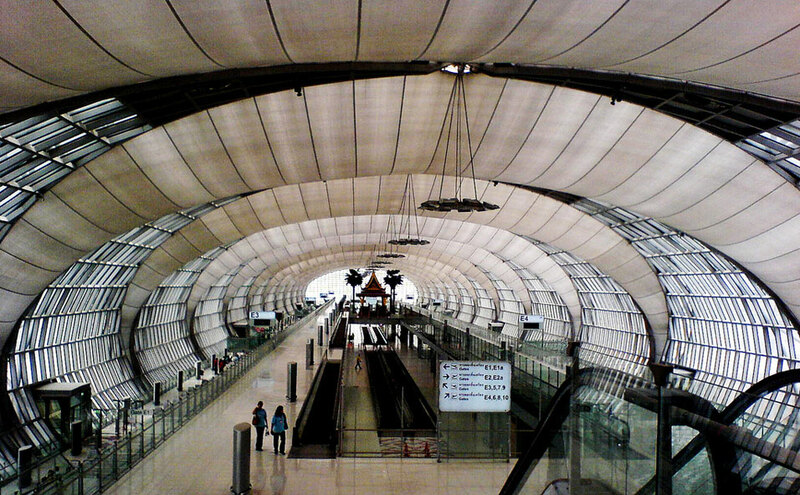 Gateway considers symbolic portals, the synapses that connect a city to country and world, through a pairing of Solon S. Bemens 1890 Grand Central Station with Murphy/Jahns Suvarnabhumi Airport in Bangkok, Thailand. Proud Tower contrasts William Le Baron Jenneys 1885 Home Insurance Building with Skidmore, Owings & Merrills Burj Dubai, now the tallest structure ever constructed on earth. Planning, company towns and infrastructure are among other topics depicted through statistics, renderings, models, and animations. Boom Towns! explores the architecture of explosive growth through the convictions and contradictions represented in some of the most ambitious building projects of the past 125 years. Lynn Becker, project curator, is a prolific writer on architecture. His work has appeared in the Chicago Reader, Metropolis magazine and the Harvard Design magazine. He will conduct curator talks in conjunction with the exhibition: September 30, October 18 and November 7.